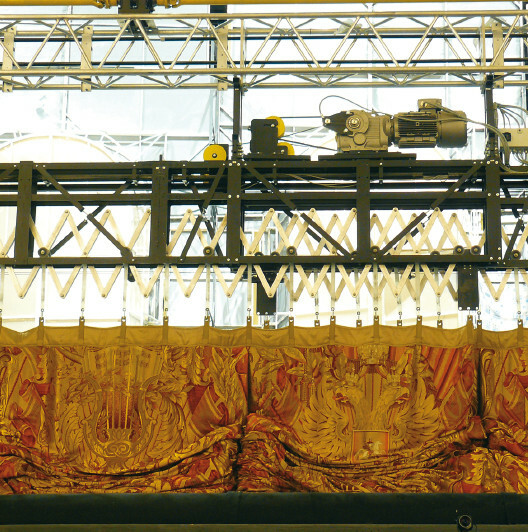 The curtain stays in its intended fullness both during opening and closing operation. The system consists of a sturdy steel girder, constructed with an integral, abrasionproof, plastic wheel tread. 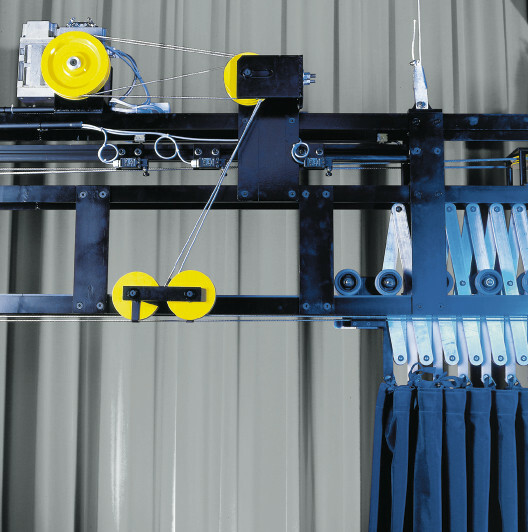 The extremely quiet operation of the scissor track is performed via laterally-guided, rubbercoated, ball-bearing wheels. All scissor track connecting joints are in maintenance free, permaglide bearings. 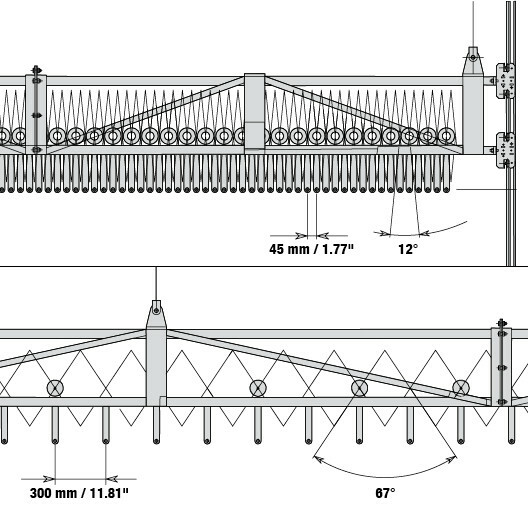 is provided on both sides of the supporting girder. Movement via a steel cable, connected to a powerful geared motor placed on the steel girder. 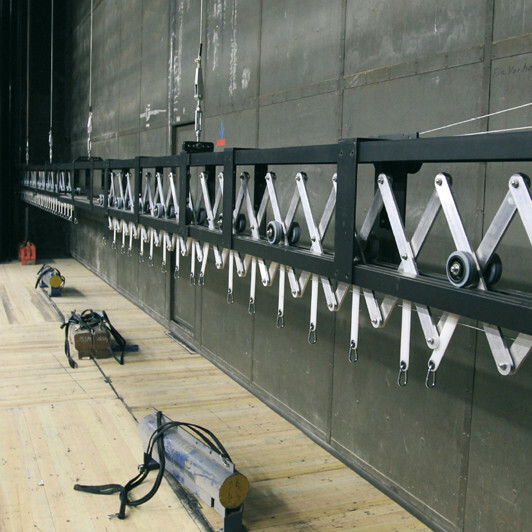 Due to its compact construction, motors are mounted on the supporting steel girder. 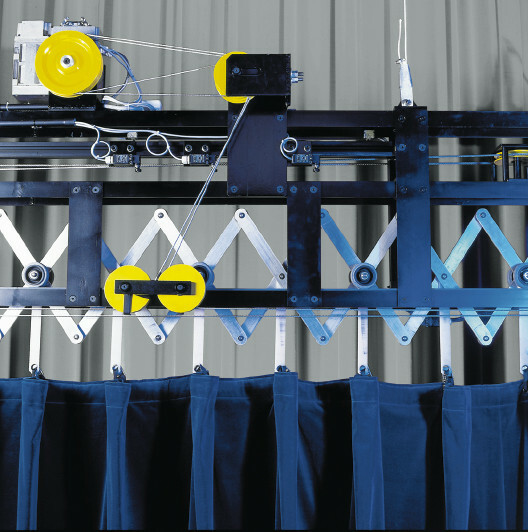 The motor selection is determined by the weight of the curtain and the required opening speed. 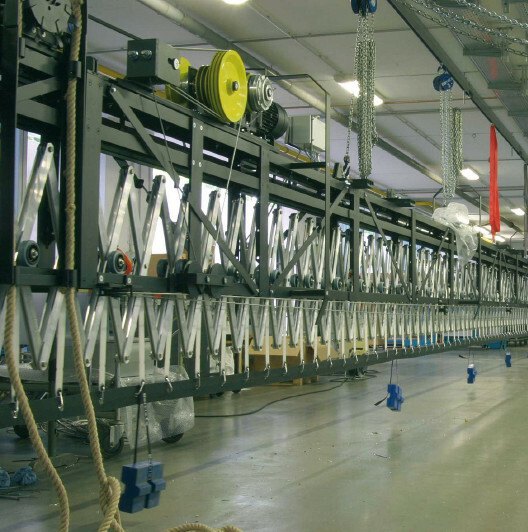 We manufacture customized FENCE systems for use with curtains and draperies made from our vast selection of curtain fabrics. 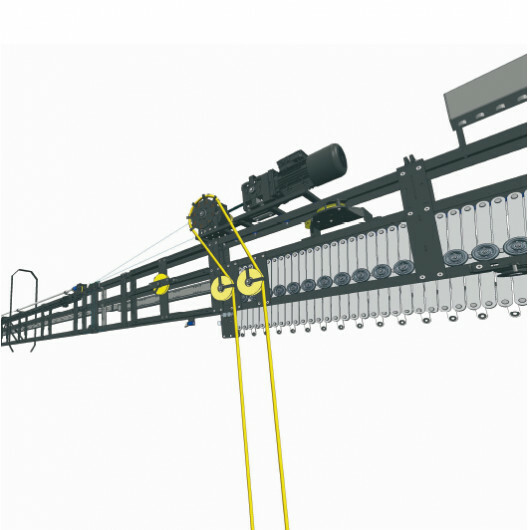 The scissor track suspension points distance depends on the building code and the curtain weight. General rule: approx. every 4 m (13'1"). Distance between curtain hanging points: max. every 30 cm (11.8"). 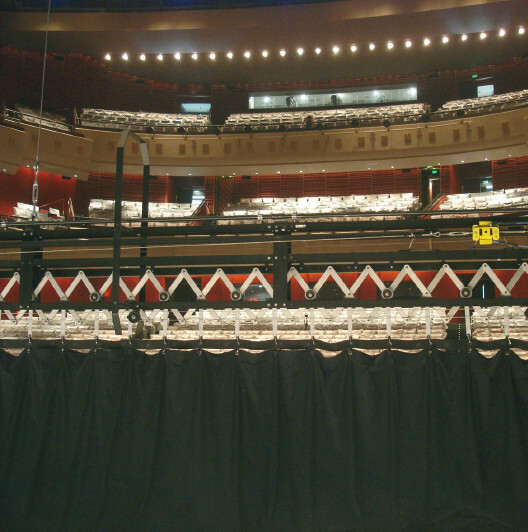 in various sizes, used in theatres and opera houses worldwide.